I am so fortunate to be surrounded but such amazing customers and friends. There is a big world out there beyond farming and sometimes I feel like I get so sucked into that little 40 acre plot...it's like looking through fogged glass. Thankfully, I have people in my life that are my "defrost" button. I was introduced to HARO (Help A Reporter Out) by a pretty fantastic lady (Thank You Rachel!) and one of my responses to a reporters question is on The Latin Kitchen. A big thank you to Julie for choosing my answer for her piece! Head on over and check out all of the farmer responses. I am #7! Great response Rose. There are a ton of disconnects in our food system, time invested in a single crop is def one of them. At the same time, how lucky are we to be able to witness the crazy process from seed to plate? So many people are missing out on such an enriching experience of growing some of their food. That's why I think it's so important to show our kids the way, they love it! PS celery IS the biggest pain, my 2" seedlings have been going since feb 13, they are a long way from hittin the soup pot come fall, but its worth every watering. Thank you! And yes celery is a pain...I actually decided not to grow it this year because it's not really a money making item but it is kind of a fun novelty item to grow in the garden. 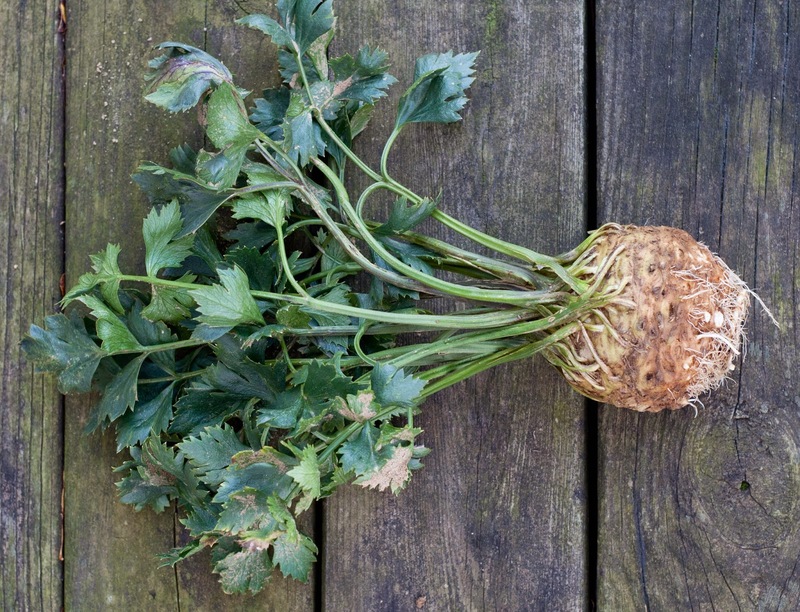 But celeriac we'll have for sure....I just love it!